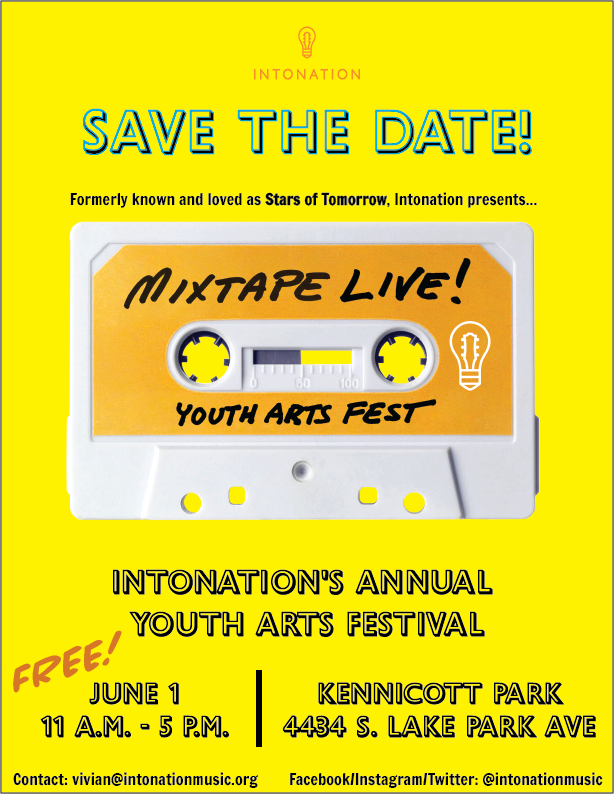 Formerly known and loved as Stars of Tomorrow, Intonation continues its yearly celebration of the youth in its music programs under a new name – Mixtape Live! Bring a blanket, a picnic, and settle in for this all-day FREE community arts extravaganza taking place at Kennicott Park in Chicago’s beautiful Kenwood neighborhood. The stellar line-up includes Intonation’s 20+ youth pop/rock bands and more! The fest will also feature a community dance party, and hands-on activities such as a musical petting zoo, face painting, a photobooth, raffle, and delicious food for purchase. With over 200 students performing, this will once again be the youth arts event of the year! 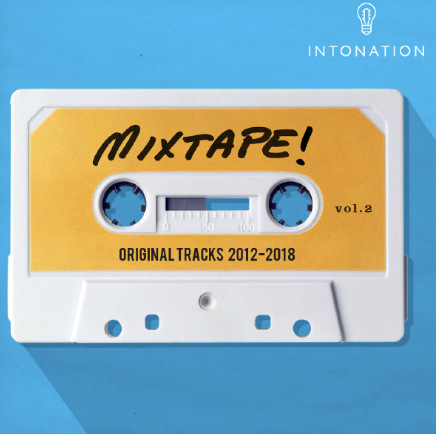 Mixtape Volume II, our new compilation of original student tracks from 2012 – 2018, will be available to the public for the first time at this event! Interested in volunteering? We need your help! Please email jen@intonationmusic.org for more details. Mixtape Live is presented in partnership with Chicago Parks District and is part of the programming for Night Out in the Parks.